CBS didn’t run up any big scores with its pair of NCAA basketball tournament games Thursday night. Nor did the network shoot air balls. The return of Fox’s Bones and ABC’s Grey’s Anatomy shared the 7 to 8 p.m. lead with 195,272 D-FW viewers apiece while that portion of the Notre Dame-Wichita State game (which included halftime) came in third with 167,376 viewers. Hoops moved up to a first-place tie among advertiser-prized 18-to-49-year-olds, though, with Bones slipping to third. ABC’s Scandal won the 8 p.m. hour with 167,376 total viewers, edging NBC’s competing The Blacklist (160,402 viewers). CBS fell to third with a combination of the closing minutes of Notre Dame-Wichita State, a post/pre-game show and the early minutes of Kentucky-Wichita State. But CBS rallied to nip Scandal and win the hour among 18-to-49-year-olds. The 9 to 10 p.m. slot went to CBS in both ratings measurements, with Fox4’s local newscast a solid second in total viewers but a distant runner-up among 18-to-49-year-olds. ABC’s fourth episode of the critically acclaimed American Crime ran third at 9 p.m. in both ratings measurements. Over on TBS, the two NCAA match ups -- Wisconsin-North Carolina and Arizona-Xavier -- both drew less than half the audience for the CBS games. Here are Thursday’s local news derby results, with CBS11’s 6 and 10 p.m. editions either rubbed out or delayed by basketball. Gannett8 topped the reduced 10 p.m. field in total viewers while Fox4 ran first with 25-to-54-year-olds (main advertiser target audience for news programming). Fox4 swept the 6 a.m. competitions and NBC5 did likewise at 5 p.m. The 6 p.m. golds went to NBC5 in total viewers (by a paper-thin margin over Gannett8) and Fox4 among 25-to-54-year-olds. Empire-less for the first Wednesday since Jan. 7th, Fox remained in control of the night with two hours of American Idol. Capped by the vote-offs of two more contestants, Idol commanded the 7 to 9 p.m. slot with 306,856 D-FW viewers before Fox4’s local 9 p.m. newscast likewise ran first by keeping Idol’s entire audience tuned in. Idol and the news also breezed with advertiser-prized 18-to-49-year-olds, drawing respective totals of 100,922 and 119,844 viewers. The news nearly tripled the 18-to-49 numbers for runners-up Chicago P.D. on NBC and CSI: Cyber on CBS. Extensive coverage of the tornado strike in Oklahoma no doubt punched up the numbers in both Nielsen measurements. In the Big Four broadcast network arena, ABC’s 9 p.m. Nashville: On the Record 2 easily had the smallest prime-time haul of 18-to-49-year-olds. Just 9,461 tuned in. Gannett8 overcame ABC’s lousy 9 p.m. lead-in to draw the most total viewers at 10 p.m. But Fox4 dominated among 25-to-54-year-olds (main advertiser target audience for news programming). Fox4 also swept the 6 a.m. and 5 p.m. competitions while adding a 6 p.m. win in the 25-to-54 demographic. CBS11 had the most total viewers at 6 p.m.
Also notable at 6 a.m.: Gannett8 ended its unprecedented streak of eight consecutive last-place finishes among 25-to-54-year-olds. The station ran third ahead of CBS11 and slightly behind NBC5. All four of the big-time broadcast networks went wall-to-wall with new episodes Tuesday night. CBS won from start to stop in total viewers while also getting one leg up with advertiser-prized 18-to-49-year-olds. NCIS led off with a narrow win over NBC’s competing The Voice. The score was 341,726 total viewers to 313,830. CBS’ NCIS: New Orleans then routed the competition at 8 p.m. with 306,856 viewers before the network’s Person of Interest held off Fox4’s 9 p.m. local newscast -- 174,350 viewers to 160,402. Among 18-to-49-year-olds, the winners were The Voice, NCIS: New Orleans and Fox4’s news. The second episode of NBC’s One Big Happy, which aired at 8:30 p.m., edged the second half-hour of ABC’s Marvel’s Agents of S.H.I.E.L.D. in total viewers. But Big Happy ran a grim-faced distant fourth in its time slot among viewers in the 18-to-49 range. Fox4, Gannett8 and CBS11 tied for the most total viewers at 10 p.m. but Fox4 had the top spot to itself with 25-to-54-year-olds (main advertiser target audience for news programming). Fox4 swept the 6 a.m. competitions while Gannett8’s latter day demographic woes continued. The station ran fourth for the eighth straight weekday among 25-to-54-year-olds. Day in, day out, that used to be where CBS11 wound up. CBS11 ran first in total viewers at 6 p.m., but Gannett8 had the edge with 25-to-54-year-olds. NBC5 joined in the victory spoils by running the table at 5 p.m.
Let’s skip past Monday for a sec and go to Sunday, where AMC’s The Walking Dead is mashing the Big Four Broadcast networks in a way that no cable series ever has. Its latest 8 p.m. episode drew 418,440 D-FW viewers, easily beating all other TV attractions on any network at any time. But the bigger news is still Walking Dead’s amazing appeal among advertiser-craved 18-to-49-year-olds. It had 290,150 viewers in that realm, falling just shy of the 299,611 who watched last Wednesday’s season-ending hour of Empire on Fox. Walking Dead otherwise beat Empire’s second-to-last 7 p.m. episode, which drew 277,534 viewers in the 18-to-49 age range. Sunday’s next biggest draw in total viewers, CBS’ Madam Secretary, had 251,064. Fox’s first of two The Last Man on Earth episodes was the runner-up among 18-to-49-year-olds with 81,999. That’s well less than one-third of Walking Dead’s total. In Sunday afternoon’s sports matchups, CBS’ Duke-San Diego State NCAA tourney game had 146,454 total viewers before the following Wichita State-Kansas face-off drew 188,298. Fox’s NASCAR Sprint Cup race, which aired opposite both games, averaged 181,324 viewers. Monday’s prime-time Nielsens again made NBC’s 7 to 9 p.m. edition of The Voice the No. 1 overall show with 362,648 total viewers. ABC’s competing Dancing with the Stars ran second with 258,038. The Voice also ruled the 18-to-49 domain with 110,383 viewers. CBS’ 2 Broke Girls and Scorpion topped DWTS, which took the No. 2 spot from 7:30 to 8 p.m. by outdrawing CBS’ Mike & Molly. On Saturday, CBS had the most-watched NCAA tourney game among for televising networks with its afternoon Kentucky-Cincinnati matchup (195,272 total viewers). Friday’s hoops cavalcade was paced by CBS’ Duke-Robert Morris mismatch (90,662 total viewers). In comparison, the prime-time leader in total viewers, ABC’s Shark Tank, drew 195,272. Here are the local news derby results, with CBS11’s 6 and 10 p.m. Friday editions pre-empted by basketball. Friday -- NBC5 won at 10 p.m. in both total viewers and 25-to-54-year-olds (main advertiser target audience for news programming). Gannett8 had the most total viewers at 6 a.m. while Fox4 nipped CBS11 for the 25-to-54 win. The Peacock ran the table at 5 p.m. and also tied Fox4 for the top spot at 6 p.m. among 25-to-54-year-olds. Gannett8 had the most total viewers at 6 p.m.
Monday -- Gannett8 ran strong at 10 p.m. with twin wins while Fox4 swept the 6 a.m. competitions and NBC5 again ran the table at 5 p.m. The 6 p.m. winners were CBS11 in total viewers and Gannett8 in the 25-to-54 demographic. Gannett8 continued to see the bottom drop out at 6 a.m. in the moneymaking 25-to-54 measurement. The station now has run last for seven consecutive weekdays. Monday’s numbers were particularly dismal, with Gannett8 drawing just 11,854 viewers in the 25-to-54 age range. No longer a doormat, CBS11 more than doubled that total with 26,671 viewers to finish second behind Fox4. All of this has happened since CBS11 switched veteran P.M. anchor Karen Borta to the morning shift. But the station also is making unprecedented headway among 25-to-54-year-olds with what’s still being billed as an interim team of co-news anchor Jason Allen and traffic reporter Tammy Dombeck. Meteorologist Scott Padgett, the dean of the four early morning principals, joined the station in September of 2013. CBS11 has interviewed numerous potential replacements for both Allen and Dombeck, but without making a move yet. The 25-to-54 numbers lately indicate that perhaps CBS11 already has the right team in place, with no further need of change for the sake of change. American Idol is no Empire -- at least not anymore. Fox still has a valuable property, though. On a day jammed with opening day NCAA hoops tournament action, Idol’s latest two-hour edition ranked as Thursday’s overall top draw with 278,960 D-FW viewers. Fox4’s following local newscast then won its 9 p.m. slot with 244,090 viewers. Among advertiser-prized 18-to-49-year-olds, Idol won from 7 to 8 p.m. before tying NBC’s Blacklist for the top spot in the 8 p.m. hour. Fox4’s news was then nipped by the 9 to 10 p.m. portion of CBS’ Kentucky-Hampton game. All five Texas teams were bounced from the tourney in a single day. Ratings for the SMU-UCLA and Stephen F. Austin-Utah games, both exiled to little truTV, were not immediately available. Here’s how the three other matchups played out in the Nielsen numbers game. All were in daytime hours. The most-watched game of the day, CBS’ nighttime telecast of Cincinnati-Purdue (which went to overtime), drew 132,506 viewers. Also in prime-time, the third episode of ABC’s acclaimed American Crime series ranked second at 9 p.m. with 160,402 total viewers. It dropped a notch to third with 18-to-49-year-olds, with NBC’s The Slap ranking last at 9 p.m. in both ratings measurements. Here are Thursday’s local news derby results, with CBS11’s 6 and 10 p.m. editions rubbed out by basketball. Gannett8 topped the downsized 10 p.m. competitions in both total viewers and 25-to-54-year-olds (main advertiser target audience for news programming). Fox4 rang up another pair of 6 a.m. wins, with an especially dominant showing among 25-to-54-year-olds. The station had 68,158 viewers in this key demographic, more than the combined total for NBC5, CBS11 and Gannett8, which continued to slump with its fifth straight fourth-place finish. Gannett8 had the most total viewers in the three-way 6 p.m. race, while Fox4 took the 25-to-54 gold. At 5 p.m. NBC5 ran first in total viewers, with Fox4 and Gannett8 tying for the top spot among 25-to-54-year-olds. The ratings rocket ship known as Fox’s Empire went through the roof Wednesday with a two-hour season finale that featured both a Dynasty-esque cat fight and enough other over the top moments to make even Dallas seem sedate. Hour One, from 7 to 8 p.m., amassed 530,024 D-FW viewers, the show’s biggest haul of the season. Hour Two then exceeded that mark with 599,764 viewers. Empire likewise was off the charts with advertiser-prized 18-to-49-year-olds, drawing 277,534 in the 7 p.m. hour and then 299,611. In the weekly series realm, those totals have been approached this season only by AMC’s The Walking Dead. Fox4’s 9 p.m. local newscast then happily mopped up with time slot winning totals of 292,908 viewers overall and 138,767 in the 18-to-49 demographic. On rival networks, CBS’ Survivor was the biggest also-ran with 216,194 total viewers from 7 to 9 p.m. It had 78,845 in the 18-to-49 age range. ABC’s 9 p.m. special, The Untold Story of The Sound of Music with Diane Sawyer and Julie Andrews, tied CBS’ CSI: Cyber for second place at that hour in total viewers (181,324 each). CSI: Cyber had the silver medal to itself among 18-to-49-year-olds, with 66,230. In late night, Jimmy Kimmel’s third show from Austin knocked off rivals Jimmy Fallon and David Letterman for the third straight night in total viewers and 18-to-49-year-olds. But the gaps have been narrower for the past two nights, particularly among 18-to-49-year-olds. And Fox4’s 10:30 to 11:30 p.m. combo of Modern Family reruns and TMZ beat all three talk shows in both measurements on both Tuesday and Wednesday. Gannett8 had the most total viewers at 10 p.m. while Fox4 finished narrowly on top with 25-to-54-year-olds (main advertiser target audience for news programming). Fox4 notched another pair of wins at 6 a.m., where Gannett8 remains in a deepening ditch among 25-to-54-year-olds while CBS11 continues to do better. On Wednesday, Gannett8 dropped to fourth place in this key demographic while CBS11 ran second. Gannett8 ran first at 6 p.m. in total viewers, but Fox4 took the 25-to-54 gold. At 5 p.m., NBC5 and Gannett8 shared the total viewers lead and Gannett8 had the top spot to itself with 25-to-54-year-olds. Again paced by The Voice, NBC had more luck o’ the Irish than its foes Tuesday night. The Voice ruled the 7 p.m. hour with 376,596 D-FW viewers and 122,998 within the advertiser-craved 18-to-49-year-old motherlode. It helps, though, when CBS’ NCIS is in reruns, as were the network’s other Tuesday night entries, NCIS: New Orleans and Person of Interest. The Peacock’s Season 2 premiere of Undateable then fell to 167,376 viewers, with 78,845 in the 18-to-49 age range. Even so, only NCIS: New Orleans had more total viewers (258,038) while Undateable easily beat all competing programs in the key 18-to-49 demographic. NBC’s following premiere of One Big Happy slipped further to 118,558 total viewers and 59,922 in the 18-to-49 bracket. Again, though, only NCIS: New Orleans outdrew the new sitcom in either of the two major ratings food groups. At 9 p.m., NBC’s Chicago Hope and Fox4’s local newscast tied for the most total viewers with 174,350. The news narrowly put out the Fire among 18-to-49-year-olds. The CW launched its newiZombie series in the 8 p.m. hour. It ran fifth in total viewers with just 41,844. But a high percentage of them -- 31,538 -- were 18-to-49-year-olds. So that’s not an overall bad showing. ABC sandwiched a new 8 p.m. episode of Marvel’s Agents of S.H.I.E.L.D. between reruns. It fell on its shield with a third place finish in total viewers (111,584) while beating only Fox’s New Girl rerun (among the Big Four broadcast networks) in the key 18-to-49 measurement. Gannett8 won the 10 p.m. competitions in both total viewers and 25-to-54-year-olds (main advertiser target audience for news programming. The station also ran the table at 5 p.m. while CBS11 did likewise at 6 p.m. It was another sweep at 6 a.m., with Fox4 claiming both golds. Gannett8’s Daybreak, touted as “The Official Show of Morning People” in an ongoing heavy promotional campaign, continued to run aground in the key 25-to-54 demographic. So much so that CBS11 again claimed third place while Gannett8 slipped to fourth after a solid second place finish in total viewers. CBS11 has outdrawn Gannett8 among 25-to-54-year-olds on four of the last five weekdays. And in the other case, the two stations tied. NBC5 also has hit a rut -- in both ratings measurements. And although Fox4 continues to be the station to beat, its 6 a.m. viewer totals also have been slip-sliding lately. It’ll all bear watching when the May “sweeps” hit the runway. For now at least, CBS11 finds itself in the very unaccustomed position of finishing out of the cellar among 25-to-54-year-olds after coming close to beating Gannett8 in the February sweeps. ABC’s 20th edition of Dancing with the Stars couldn’t keep up with NBC’s The Voice but otherwise managed to stay in step Monday night. The latest 7 to 9 p.m. premiere drew 271,986 D-FW viewers to trail The Voice (327,778) but outpoint everything else in its time slot. Among advertiser-prized 18-to-49-year-olds, The Voice easily led the way with 100,922 viewers while the 53,615 for DWTS beat everything else except CBS’ 7:30 p.m. episode of Mike & Molly (75,691). Asterisks: CBS aired reruns from 8 to 10 p.m. -- Scorpion, NCIS: Los Angeles -- and Fox did likewise at 7 p.m. with Gotham. ABC’s new episode of Castle took the 9 p.m. hour in total viewers with 223,168, but Fox4’s local newscast won with 18-to-49-year-olds (75,691). Over on AMC, a new 9 p.m. episode of Better Call Saul struggled with 69,740 total viewers and 44,153 in the 18-to-49 realm. Even so, the 18-to-49 haul was strong enough to beat both NBC’s competing new Night Shift episode (37,846) and the NCIS: Los Angeles repeat (28,384). In late night, ABC’s first of five Jimmy Kimmel Live shows from Austin spanked Jimmy Fallon’s NBC Tonight Show in both total viewers -- 146,454 to 76,714 -- and 18-to-49-year-olds -- 53,615 to 31,538. Both Fallon and the lagging David Letterman had new shows, not reruns. Gannett8 rolled to dominating 10 p.m. wins in total viewers and 25-to-54-year-olds (main advertiser target audience for news programming). Fox4 ran the table at 6 a.m. while former pushover CBS11 again rose above Gannett8 to take the No. 3 spot with 25-to-54-year-olds. Gannett8 had the most total viewers at 6 p.m. and tied with Fox4 for first place in the 25-to-54 demographic. NBC5 and Gannett8 shared the 5 p.m. gold in total viewers while Gannetti was alone in first with 25-to-54-year-olds. After a little more than two years as a mid-morning, locally produced alternative to Gannett8’s longrunning Good Morning Texas, KTXD-TV’s (Ch. 47) The Broadcast breathed its last with Friday’s one-hour show. Originally launched in partnership with D Magazine on Feb. 18, 2013, the program never found anything close to a sizable audience in D-FW but did serve as a friendly watering hole for area merchants pitching their products. GMT still provides that service, via a pay-per-view, mini-infomercial system in which several guests per day buy five-minute spots. The Broadcast at its height ran from 9 to 11 a.m. daily and was repeated in the afternoons. It later was downsized to a 10 to 11 a.m. weekday slot. The original hosts were former CBS11 morning anchor Lisa Pineiro, veteran radio/TV personality Suzie Humphreys, Hall of Fame running back Emmitt Smith’s wife, Pat Smith, and reality TV personality Courtney Kerr, best known for her stint on Bravo’s short-lived Most Eligible Dallas, in which she was cast as a high-maintenance handful with she-devil tendencies. Only Pineiro remained with the program for its duration. A repeat of The Broadcast aired Monday morning. There’s no word yet on what will replace it. Rumors are that other locally produced KTXD programs also are being dropped as part of the station’s latest makeover. The Texas Daily, which gathered a wealth of earlier prominent newscast stars in hopes of appealing to an older baby-boomer audience, was canceled a year ago. Old-line Big 4 broadcast network execs can only shudder when reading the latest ratings results on the historically heaviest TV viewing night of the week. AMC’s new 8 p.m. Sunday episode of The Walking Dead ranked as kingpin again, rolling up 313,830 D-FW viewers and a competition-crushing 214,458 in the advertiser-prized 18-to-49-year-old demographic. The next biggest attraction among 18-to-49-year-olds, Fox’s Family Guy, was in a distant rear view mirror with 72,537. OK, but there’s this, too. AMC’s Talking Dead, the 9 p.m. rehash of Walking Dead, tied Family Guy for Sunday’s runner-up spot in the 18-to-49 age range. And in total viewers, Talking Dead outdrew the likes of ABC’s Revenge and Once Upon a Time and Fox’s entire 6 to 9 p.m. network lineup, including Brooklyn Nine-Nine and The Last Man on Earth. Last Man, in which a newly clean-shaven Will Forte now has two women in his mix (including a new, beauteous character played by Mad Men’s January Jones), is showing signs of falling out of favor. Sunday’s 8:30 p.m. episode ran fourth among the Big 4 broadcast nets with just 62,766 total viewers. It was the same story among 18-to-49-year-olds. In contrast, CBS’ 9 p.m. episode of the new Battle Creek won its time slot in total viewers (216,194) while running a close third in the Big 4 net universe behind NBC’s second hour of Dateline and Fox4’s local newscast. The other Sunday night newbie, ABC’s Secrets and Lies, placed second at 8 p.m. in total viewers (125,532) among the Big 4 broadcasters and beat everything except the competing Family Guy in the 18-to-49 realm. Earlier Sunday, CBS’ 5 to 6 p.m. NCAA basketball tourney selection show drew 104,610 total viewers to trail competition from network and local newscasts on both NBC5 and Gannett8. It moved up a notch with 18-to-49-year-olds, running behind only ABC/Gannett8. SMU’s conference tournament win over UConn, shown from mid-to-late afternoon on ESPN, averaged 83,688 total viewers and 37,846 in the 18-to-49 age range. Fox’s NASCAR Sprint Cup race was the overall time slot winner. Friday’s prime-time toppers were CBS’ Blue Bloods in total viewers (251,064) and the network’s The Amazing Race in the 18-to-49 demographic (59,922). NBC5 and CBS11 tied for the most total viewers at 10 p.m. while the Peacock had first place to itself among 25-to-54-year-olds (main advertiser target audience for news programming). Fox4 swept the 6 a.m. races, but barely held off CBS11 with 25-to-54-year-olds. Long dormant at the waker upper hours, CBS11 lately has competitive with both NBC5 and Gannett8 in the key 25-to-54 age range. This pretty much coincides with the station’s move of Karen Borta from nearly 20 years of P.M. anchoring to the 4:30 to 7 a.m. shift. CBS11 led in total viewers at both 5 and p.m.; Fox4 had the most 25-to-54-year-olds at 5 p.m. and tied Gannett8 for the top spot at 6 p.m.
D-FW viewers ping-ponged among three networks Thursday night while NBC dug a pair of death valleys around The Blacklist. CBS’ lead-off hitter, The Big Bang Theory, again was prime-time’s biggest overall draw in both total viewers (390,544) and advertiser-coveted 18-to-49-year-olds (176,613). The second half-hour of Fox’s American Idol and CBS’ The Odd Couple then tied for the 7:30 to 8 p.m. total viewers lead with 251,064 apiece. But ABC’s closing half-hour of Grey’s Anatomy led among 18-to-49-year-olds (104,075). Hour 2 of Idol took over from 8 to 9 p.m. with 265,012 total viewers and 94,614 in the 18-to-49 age range. Fox4’s 9 p.m. local newscast also swept its hour with respective totals of 216,194 and 56,768 viewers. NBC’s 9 p.m. episode of The Slap ranked as Thursday night’s overall loss leader with just 55,792 total viewers. It tied NBC’s 7 p.m. episode of Dateline for the least-watched attraction among 18-to-49-year-olds (18,923 each). The second episode of ABC’s American Crime, also at 9 p.m., ran third at that hour in total viewers and moved up to second place with 18-to-49-year-olds. A new 8 p.m. episode of ABC’s Scandal showed signs of ratings wear and tear, running fourth in total viewers and beating only CBS’ 8 p.m. rerun of Big Bang among 18-to-49-year-olds. The Blacklist, still struggling after its move from Mondays to Thursdays, was beaten from 8 to 9 p.m. in total viewers by Idol and CBS’ Mom. It was the same order of finish with 18-to-49-year-olds. And now for our usual big finish. Here are Thursday’s local news derby results. CBS11 edged Gannett8 for the top spot in total viewers at 10 p.m. Gannett8 in turn nipped Fox4 by an even thinner margin among 25-to-54-year-olds (main advertiser target audience for news programming). Fox4 again ran the ratings table at 6 a.m. while slumping NBC5 fell to fourth among 25-to-54-year-olds for the third straight weekday. The Peacock bounced back in the early evening by sweeping the 5 and 6 p.m. races in both ratings measurements. Again fueled by Empire, Fox and Fox4 rocked prime-time Wednesday, although not quite as hard as usual given the minimal opposition. ABC and NBC went wall-to-wall with repeats, save for an 8:30 p.m. black-ish blooper episode on the Alphabet network. CBS stood and fought with first-run hours of Survivor, Criminal Minds and CSI: Cyber. Fox’s American Idol comfortably won at 7 p.m. with 292,908 D-FW viewers and 100,922 in the advertiser-prized 18-to-49-year-old demographic. Survivor was the runner-up with respective totals of 181,324 and 59,922 viewers. Empire inflated to 411,466 total viewers in the 8 p.m. hour while Criminal Minds made a respectable showing with 299,882. But Fox’s midseason Cookie monster then punished Minds in the 18-to-49 realm, winning by a score of 204,997 viewers to 119,844. At 9 p.m., Fox4’s local newscast notched another Wednesday win in a close fight among total viewers with CSI: Cyber. The news had 251,064 viewers while CSI: Cyber had 237,116. The gap widened among 18-to-49-year-olds, with Fox4 luring 97,768 of ‘em compared to CSI: Cyber’s 75,691. A 9 p.m. Episode 1 repeat of ABC’s critically lauded American Crime dragged bottom with 55,792 total viewers and 25,230 in the 18-to-49 age range. Gannett8 trampolined off ABC’s lowly American Crime lead-in to draw the most total viewers at 10 p.m. Fox4 edged Gannett8 among 25-to-54-year-olds (main advertiser target audience for news programming. Fox4 notched twin wins at 6 a.m. and also had the most 25-to-54-year-old viewers at both 5 and 6 p.m.
CBS11 led in total viewers at 6 p.m. and tied Fox4 for first in that measurement at 5 p.m.
TV audiences primarily navigated to NBC and CBS Tuesday night, with the Peacock enjoying most of the ratings success. CBS opened with NCIS, which outdrew NBC’s competing first hour of The Voice by a total of 397,518 D-FW viewers to 376,596. The Voice then knocked off CBS’ NCIS: New Orleans from 8 to 9 p.m. -- 418,440 viewers to 271,986. The competition tightened up again in the 9 p.m. hour, with NBC’s Chicago Fire (209,220 viewers) holding off CBS’ runner-up Person of Interest (195,272). NBC won from start to stop with advertiser-prized 18-to-49-year-olds, though. ABC’s Marvel’s Agents of S.H.I.E.L.D. took the silver from 8 to 9 p.m. and Fox4’s 9 p.m. local newscast ran second at that hour. Fox’s 8 p.m. rerun of New Girl ended up as the night’s biggest loser in total viewers among the Big Four broadcast networks. It had just 27,896. New Girl and ABC’s Repeat After Me and Forever repeat were the least-watched attractions with 18-to-49-year-olds (12,615 each). Over on Fox Sports Southwest, the Cleveland Cavaliers demolition of the Dallas Mavericks on their home floor had 125,532 total viewers and 47,307 in the 18-to-49 demographic. CBS11 ran first in total viewers at 10 p.m. while Fox4 had the most 25-to-54-year-olds (main advertiser target audience for news programming). Gannett8 broke through at 6 a.m. with a win in total viewers, but Fox4 stayed on top with 25-to-54-year-olds. Fox4 ran the table at 5 p.m. and added a 6 p.m. first in 25-to-54-year-olds. Gannett8 and CBS11 tied for the most total viewers at 6 p.m. The latest season finale of ABC’s The Bachelor had the misfortune to go head-to-head with NBC’s The Voice Monday night. It didn’t come up roses, but instead pushed up daisies. The Voice drew 446,336 D-FW viewers from 7 to 9 p.m. while The Bachelor had 202,246 during those hours. That wasn’t even good enough for a second place finish. Bachelor also was left at the altar by CBS’ competing trio of 2 Broke Girls, Mike & Molly and Scorpion. In the battle for advertiser-prized 18-to-49-year-olds, The Voice had 138,767 to The Bachelor’s 85,153. The CBS lineup again ran an overall second, although The Bachelor did tie Mike & Molly from 7:30 to 8 p.m.
Fox’s 7 to 9 p.m. tandem of a Gotham repeat and a new episode of The Following ran a distant fourth across the board. CBS’ NCIS: Los Angeles won the 9 p.m. hour in total viewers with 299,882 but The Bachelor’s post-game show took the top spot with 18-to-49-year-olds. Over on AMC, a new 9 p.m. episode of Better Call Saul had 97,636 total viewers and 56,684 in the 18-to-49 demographic. The 18-to-49 showing was good enough to edge Fox4’s local 9 p.m. newscast, which had 53,615 viewers. 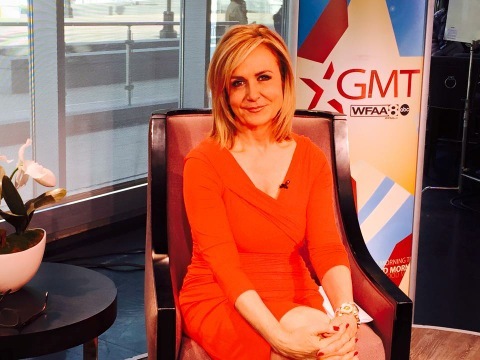 Earlier Monday, former NBC5 anchor Jane McGarry’s debut as co-host of Gannett8’s Good Morning Texas had 48,818 total viewers and 12,615 within the 18-to-49 demographic. It ran fourth in total viewers at 9 a.m. behind competing network and/or syndicated programing on Fox4, NBC5 and CBS11. GMT moved up to third place with 18-to-49-year-olds, beating CBS’ Let’s Make a Deal and NBC’s third hour of Today but falling behind CW33’s syndicated Bill Cunningham show, which won the 9 to 10 a.m. slot. Fox4 and the Peacock tied for first in total viewers at 6 a.m., with Fox4 alone at the top with 25-to-54-year-olds. CBS11 had the most total viewers at 6 p.m., but Fox4 won among 25-to-54-year-olds. At 5 p.m. Gannett8 and CBS11 tied for first in total viewers while Gannett8 won outright in the 25-to-54 demographic. Wow. Other than NFL football, cable television has never seen a show as dominant as AMC’s The Walking Dead. And Sunday night left more carnage than usual. Walking Dead drew 404,492 D-FW viewers in the 8 p.m. hour, far more than any other program anywhere else. Sunday’s second best, CBS’ The Good Wife, had 216,194. But it’s among advertiser-prized 18-to-49--year-olds that WD really makes its mark. The latest episode drew 280,688 viewers in this key demographic. That’s an astonishing percentage of the total audience. Second best was Fox’s third episode of The Last Man on Earth, which had 75,691 viewers in this age range. Among the three broadcast network newbies, CBS’ 9 p.m. hour of Battle Creek drew 181,324 total viewers while Last Man and ABC’s Secrets and Lies tied with 125,532 apiece. But Battle Creek nose-dived to 25,230 viewers in the 18-to-49 demographic to run fourth in its 9 p.m. slot while Fox4’s local newscast topped the field. Secrets and Lies had 34,692 viewers in the 18-to-49 realm to run second at 8 p.m. among the Big Four broadcast networks behind Fox’s combo of Family Guy and Last Man. On Saturday night, NBC threw leather in prime-time for the first time in three decades with Premier Boxing Champions. Airing from 7:30 to 10 p.m. and fronted by Al Michaels, Marv Albert, Sugar Ray Leonard and Laila Ali, it averaged just 69,740 total viewers to outdraw only Fox’s Sleepy Hollow repeat and CBS’ 7:30 to 8 p.m. portion of its 48 Hours true crime series. In the cable universe, ESPN’s marquee Duke-North Carolina rematch barely beat boxing with an average of 76,714 viewers. Among 18-to-49-year-olds, boxing beat CBS’ entire prime-time lineup but lost to Sleepy Hollow and everything else on the Big Four broadcast networks. But boxing managed to tie Duke-Carolina. Moving on to Friday, where the top prime-time scorers were CBS’ Blue Bloods in total viewers (285,934) and ABC’s Shark Tank among 18-to-49-year-olds (63,076). CBS11 ran a dominant No. 1 at 10 p.m. in total viewers but Gannett8 finished first with 25-to-54-year-olds (main advertiser target audience for news programming). Fox4 again swept the 6 a.m. competitions. The 6 p.m. wins went to CBS11 in total viewers and Gannett8 in the 25-to-54 measurement. NBC5 and CBS11 tied for the most total viewers at 5 p.m. while Fox4 was tops with 25-to-54-year-olds. WFAA-TV (Channel 8) isn’t the only D-FW station to let Wheel of Fortune go to a competitor. KXAS-TV (Channel 5) used to have it, too -- also in the weekday 6:30 p.m. -- before WFAA took it away with a higher bid. As proof, below is a 1987 promo that really creaks 28 years later. WFAA, then owned by Belo Corp., dumped Wheel a decade ago -- in favor of Entertainment Tonight -- because it wanted a show with younger audience appeal. That hasn’t quite worked out. On CBS11 since 2005, Wheel won its time period in the recent February “sweeps” in both total viewers and advertiser-coveted 18-to-49-year-olds. It averaged 306,856 total viewers and 47,307 in the key younger demographic. The runner-ups were NBC5’s Extra and Gannett8’s Entertainment Tonight in total viewers (118,558 each) and Fox4’s Access Hollywood with 18-to-49-year-olds (40,999). Wheel also ran first among 25-to-54-year-olds with 68,158 compared to second place Access Hollywood’s 47,414. OK, history lesson’s over. Here’s that very dated promotional video. Thursday morning’s Arctic Blast-a-Palooza shut down schools again, kept many adults at home and sent the early morning D-FW news ratings into over-drive. Ratings especially ballooned during the 7 to 9 a.m. hours but all four stations also increased their usual daily audiences in the 5 to 7 a.m. bloc. Here’s how the Nielsen numbers broke down in total viewers and 25-to-54-year-olds (main advertiser target audience for news programming). Fox4 also had the most viewers in both ratings measurements during the 9 a.m. hour. And lest you think that’s a misprint, CBS11 actually did have more 25-to-54-year-olds than Gannett8 from 6 to 7 a.m. CBS11 then fell well behind its three rivals in the 7 to 9 a.m. segment. In prime-time Thursday, the premiere of ABC’s critically acclaimed American Crime tied Fox4’s local 9 p.m. news for the most total viewers at that hour. Each had 258,038. Among 18-to-49-year-olds (main advertiser target audience for entertainment programming), Fox4 was the clear choice with 97,768 to runner-up American Crime’s 72,537. On Wednesday night, Fox4’s 9 p.m. news went off the ratings charts while devoting most of its time to the impending “Arctic Blast.” It drew more than a half million total viewers (530,024) after being fed by another dominating ratings performance by Fox’s 8 p.m. episode of Empire (467,258 viewers). Fox4’s 9 p.m. news likewise was a steamroller with 18-to-49-year-olds, luring 255,458 viewers in this key demographic after Empire set the table with 233,381. The 9 p.m. launch of CBS’ CSI: Cyber ran second at that hour in total viewers (285,934) and with 18-to-49-year-olds (56,768). Fox’s 7 p.m. hour of American Idol edged the first hour of NBC’s The Voice by a score of 376,596 total viewers to 369,622. Idol also won its time period among 18-to-49-year-olds, giving Fox/Fox4 another Wednesday prime-time sweep. Wednesday -- Fox4 topped off a dominant night with 10 p.m. wins in both total viewers and 25-to-54-year-olds. Both of the 6 a.m. firsts also went to Fox4. It was then NBC5’s turn, with the Peacock running the ratings table at both 5 and 6 p.m.
Thursday -- Gannett8 notched twin wins at 10 p.m. and also drew the most 25-to-54-year-olds at 5 p.m.
NBC5 ran first in total viewers at 5 p.m. The 6 p.m. golds went to CBS11 in total viewers and Fox4 in the 25-to-54 demographic. We’ve already dealt with the early-to-mid-morning numbers, where Fox4’s continuous ice/snow coverage had an interrupted string of first-place finishes from 5 to 10 a.m.
Fox4 meteorologist Jennifer Myers is staying upbeat while facing Thursday, March 5th surgery that will keep her off the air for at least a couple of weeks. Myers joined Fox4 in July 2012 and is best known for co-anchoring the station’s weekend morning newscasts with Jenny Anchondo. On Saturdays, they also collaborate at the anchor desk for D-FW’s far-and-away best adopt-a-pet segments. Myers also said she’ll make no effort to physically hide her surgery upon returning to the air. As of this late Wednesday night writing, Myers’ Facebook post has received close to 1,000 comments. It helps when CBS airs reruns of its popular Tuesday night crime dramas, most notably NCIS. But NBC’s latest 7 to 9 p.m. edition of The Voice may well have won anyway. And with little resistance, it won really big this time with 474,232 total viewers and 160,844 in the advertiser-craved 18-to-49-year-old demographic. NCIS, the next closest attraction in total viewers, barely drew half The Voice’s crowd with 244,090. Among 18-to-49-year-olds, the return of ABC’s Marvel’s Agents of S.H.I.E.L.D. and Fox’s New Girl shared the runner-up spot with 66,230 viewers apiece. NBC also won the 9 p.m. hour with Chicago Fire. It drew 230,142 total viewers and 75,691 in the 18-to-49 sweet spot. ABC’s 9 p.m. new episode of Forever in contrast had prime-time’s smallest haul of 18-to-49-year-olds -- 18,923 -- among the Big Four broadcast networks. NBC5 topped off a big night for the Peacock with 10 p.m. wins in both total viewers and 25-to-54-year-olds (main advertiser target audience for news programming). Fox4 again ran the table at 6 a.m. while also sweeping the 6 p.m. competitions. NBC5 had the most total viewers at 5 p.m. and tied Gannett8 for the lead among 25-to-54-year-olds. Former longtime NBC5 anchor Jane McGarry is joining Gannett8’s Good Morning Texas as a full-time co-host after earlier contributing with a series of “Texas Legends” segments. She’ll be teaming with incumbent Mike Castellucci on Monday, March 9th. McGarry is replacing co-host Amy Vanderoef, who as previously posted is leaving GMT on Friday, March 6th after the two sides couldn’t agree on a new contract. McGarry said it’s her understanding that the host/contributor lineup otherwise will remain in place with Paige Smith, Carrie McClure and Shannon Powell Hart being retained. But a Gannett8 publicity release does not mention them. McGarry also will continue to do the “Texas Legends” segments that first introduced her to GMT viewers in 2013 and have re-profiled the likes of Laura Bush, Roger Staubach, Jerry Jones, Willie Nelson and Mark Cuban. GMT for several years also has been home to five-minute segments in which participants pay Gannett8 to appear on the show and sell their products. That apparently isn’t changing either. McGarry was a high-profile anchor/reporter for 30 years at NBC5 before resigning in July 2012 after pleading “no contest” to a Class B demeanor charge of driving while intoxicated. She also apologized for “my irresponsible behavior” on her Facebook page. GMT airs weekdays at 9 a.m. In the just-concluded February “sweeps” ratings period, it averaged 55,792 D-FW viewers to run fourth in its time period behind network or syndicated programing on Fox4, NBC5 and CBS11. GMT likewise placed fourth among advertiser-prized 18-to-49-year-olds with 12,615 viewers in that age range. Dallas-based Gannett8 will be losing another standout news room fixture with the impending departure of medical reporter Janet St. James. Several sources have confirmed that St. James will be leaving on March 17th to take a new position in the health field. She told unclebarky.com later Tuesday that she’ll be assistant vice president for strategic communications for HCA North Texas. St. James will work out of the company’s Irving corporate offices. “Still telling important and relevant Texas health stories!” she said. St. James joined Gannett8 in July 1996 as a general assignments reporter and has been the station’s full-time medical correspondent since 2000. She could not immediately be reached for comment Tuesday. St. James most recently excelled with her coverage late last year of the Ebola virus outbreak tied to Dallas-based Texas Health Presbyterian Hospital. She is a University of Texas at Austin graduate who joined Gannett8 from KOCO-TV in Oklahoma City after earlier working for KTAB-TV in Abilene. Sports reporter George Riba, who spent 35 years at Gannett8, retired last month and received a big on-air sendoff. Anchor-reporter Gloria Campos, a 30-year fixture at the station, retired in March of last year. Other well-regarded reporters who have resigned from Gannett8 in recent years to take other communications positions include Brad Watson, Teresa Woodard, Chris Hawes, Steve Stoler, Craig Civale, Cynthia Vega and Casey Norton. NBC continued to hit ratings high notes with The Voice while Fox’s Season 3 debut of The Following stumbled but didn’t quite fall. The Voice racked up 425,414 D-FW viewers from 7 to 9 p.m. while also dominating that slot with advertiser-coveted 18-to-49-year-olds (135,613). That’s a pretty poor percentage, though, with Voice drawing much of its ratings strength from an older crowd. In that respect, it’s in sync with American Idol. Fox’s The Following, airing at 8 p.m., ran fourth in total viewers among the Big Four broadcast networks with 118,558 but moved up to second place in the key 18-to-49 demographic (63,076). Fox4’s 9 p.m. local newscast then vaulted to first place finishes in both total viewers (195,272) and 18-to-49-year-olds (72,537). ABC put its affiliate stations’ late night newscasts in no-win situations with a 9 p.m. repeat of Secrets and Lies, which already had faltered with Sunday night’s two-hour launch. It ran a distant fourth at that hour with 76,714 total viewers and a sub-measly 12,615 in the 18-to-49 age range. In pre-prime results, the NBC Nightly News with Lester Holt ran first in both total viewers and 25-to-54-year-olds (main advertiser target audience for news programming) in competition with ABC, CBS and Fox4’s local edition. CBS11 swept the 10 p.m. competitions in both total viewers and 25-to-54-year-olds. Fox4 notched two more 6 a.m. wins while NBC5 was tops in total viewers at both 5 and 6 p.m. Gannett8 took Monday’s other two golds with first-place finishes at 5 and 6 p.m. in the 25-to-54 demographic. The Last Man On Earth put a skip in Fox’s step Sunday night by emerging as the top draw among advertiser-prized 18-to-49-year-olds on a crowded night of Big Four broadcast network premieres and returnees. Last Man, with a double-episode launch from 8 to 9 p.m. drew 100,922 D-FW viewers in this key demographic, doubling the lead-in audience for Fox’s Brooklyn Nine-Nine. ABC’s two-hour unveiling of Secrets and Lies ranked a distant second among the night’s three newcomers with 37,846 viewers in the 18-to-49 realm. CBS’ 9 p.m. premiere of Battle Creek had 34,692 viewers but doubled the crowd for its network’s preceding return of The Good Wife. None of the three broadcast net freshmen came close to matching the 18-to-49 haul of AMC’s The Walking Dead, which had a phenomenal 217,612 viewers from 8 to 9 p.m. PBS’ Season 5 finale of Downton Abbey had 47,307 viewers in the 18-to-49 age range, good enough to outdraw both Secrets and Lies and Battle Creek. Walking Dead drew 306,856 total viewers, falling short only of CBS’ 60 Minutes (348,700) among Sunday’s prime-time attractions. The three new broadcast net series were paced by Battle Creek with 188,298 total viewers, followed closely by Last Man On Earth (167,376) while Secrets and Lies lagged behind with 139,480. Downton Abbey had 160,401 total viewers. CBS’ return of Madam Secretary won from 7 to 8 p.m. in total viewers with 237,116. But it ran fourth overall in that time slot with 18-to-49-year-olds. On Friday night, another round of miserable winter weather helped to put Fox4’s 9 p.m. local newscast atop all prime-time programming with 237,116 total viewers and 100,922 in the 18-to-49 motherlode. Fox4 also preempted its 4 p.m. to 5 p.m. double dose of Judge Judy to make it a local news foursome in that hour. NBC5 comfortably won in both total viewers (223,168) and 25-to-54-year-olds (97,792), the main advertiser target audience for news programming. Fox4 respectively ran fourth and second in those two ratings measurements. Here are Friday’s other four-way local news derby results. Gannett8 dominated at 10 p.m. in both total viewers and 25-to-54-year-olds. Fox4, NBC5 and Gannett8 tied for first at 6 a.m. in total viewers but Fox4 had the gold to itself among 25-to-54-year-olds. NBC5 rung up twins wins at 5 p.m. The 6 p.m. golds went to CBS11 in total viewers and Fox4 with 25-to-54-year-olds. Despite the weather-inflated Friday newscast ratings, CBS11’s 6:30 p.m. syndicated edition of Wheel of Fortune ranked as the day’s overall top draw with 369,622 total viewers. It also spanked the three competing rag mags -- Access Hollywood, Extra and Entertainment Tonight -- among 18-to-49-year-olds.